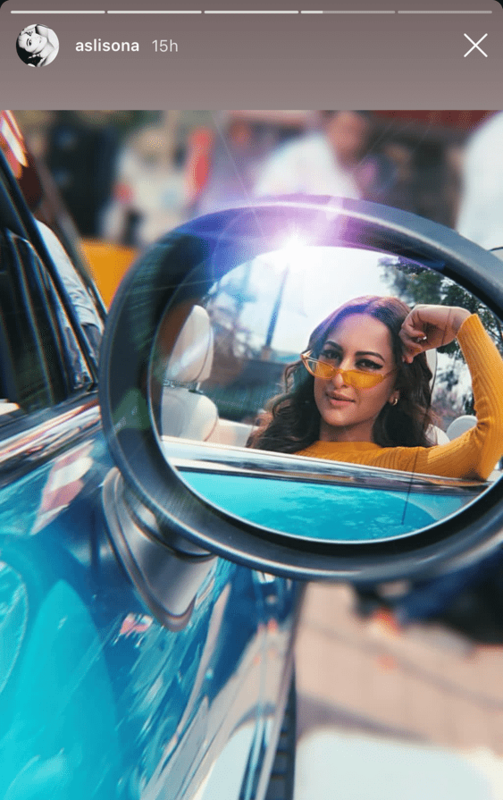 Gulabi Aankhen Jo Teri Dekhi: Sonakshi Sinha's Eyes Are Going To Leave You Lovestruck! Sonakshi's definitely the queen of bold makeup looks. It's no secret that she absolutely loves a nice bold eyeliner and those poppin' cheekbones. In the past, we've seen her rocking everything from graphic eyeliner to contoured cheekbones. She's never afraid to step out of her comfort zone and embody a new makeup trend. Her eyes seem to be her weapons of choice, and Sonakshi's got big, beautiful eyes. Almost every kind of eyeliner style looks good on her. In a recent photo she posted, Sonakshi's rocking old Bollywood glam. Her eyeliner, her sunglasses and her lipstick, all take us back a few decades! Trying to dress up a boring outfit? This bold, matte black eyeliner with a thick wing is bound to add some spice to any look! If you're wondering how to recreate this type of eyeliner, all you need is a gel eyeliner pot and a brush. Try the Maybelline New York Lasting Drama Eye Liner Drama Gel Liner (Rs 349). It's got a matte black formula and it comes with a brush. It's going to make all your winged eyeliner dreams feel as easy as a walk in the park. Step 1: Start by drawing a thick line across your eyelids but keep the eyeliner thin in your inner corner. Step 2: Use your crease as a guide. Sonakshi's eyeliner is drawn almost all the way up to her crease. Step 3: Draw the wing. You want to make sure your wing does not extend beyond the end of your eyebrow. Step 4: Connect the wing to the rest of the eyeliner. To complete the look, connect the wing to your eyelids. You want to go over your crease in the outer corner of your eyes (just a little bit) to ensure that your liner is bold! Just remember to keep a q-tip and makeup remover handy to correct any mistakes you make while drawing the wing! That's it! You're done. 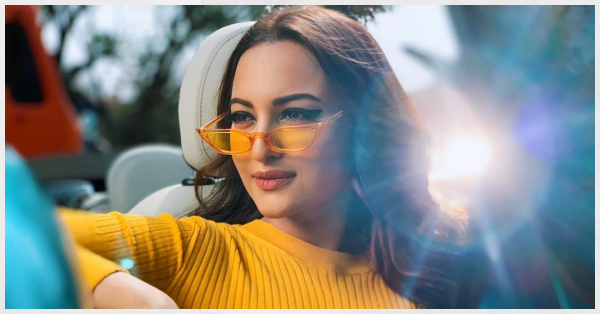 Sonakshi's gulabi aankhen, all yours to mesmer-eyes!